However, the author(s),editors, and publisher are not responsible for errors or omissions or for any consequences from application of the information in this book andmake no warranty, expressed or implied, with respect to the currency, completeness, or accuracy of the contents of the publication. andgram-negative bacteria respond to ciprofloxacin.High cure rates have been obtained in osteo-myelitis and joint infections but prolongedtreatment (6–8 weeks) with high doses (750 mgBD) is required. Total cardiac eventsincluding cardiac deaths and nonfatal infarction were 15.6 percent inthe carnitine group vs. Increased acetylation ofFOXP3 prevents degradation by the ubiquitin-proteosome pathway. UP TO 30% OFF NEXSAN BEAST IS BACK! 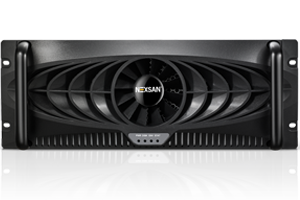 Often referred to as the “workhorse” in the Nexsan product family, BEAST delivers low storage costs and maximum uptime. BEAST delivers stress-free storage that can deliver even in challenging and compact environments and is ideally suited for high growth applications including backup, archive, and digital video surveillance use cases. For over 15 years Nexsan has built a reputation for highly reliable, cost-effective storage designed to serve specific use cases and business demands. We create storage for IT professionals who demand storage suited to their specific needs. If you, as an IT professional, require cost-effective block storage for backup, databases or Exchange, scalable and highly-flexible NAS file systems, a global private-cloud sync and share infrastructure, or secure archiving, we invite you to consider Nexsan. Purpose-built storage with innovation that matters, reliability to let you sleep well, and pricing to fit your always-constrained budget.